The Sacrament of baptism must be received before any other Sacrament. 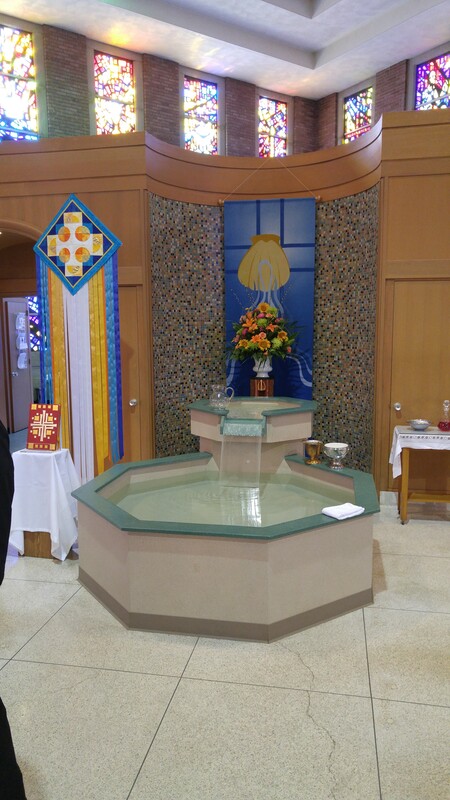 If a child has not been baptized, parents must notify the Director of Religious Education and in conjunction with the parish make the necessary arrangements to insure that the sacrament is administered. Children usually receive the sacrament of Reconciliation in the second grade. Preparation for receiving the sacrament takes place before receiving the sacrament of First Holy Communion. Instruction on the Sacrament of Reconciliation is included in each level so that children will grow in their understanding and appreciation of this Sacrament of the Lord’s peace and forgiveness. The children will learn the Rite of Reconciliation, and the prayer of Sorrow ( Act of Contrition). Parents can help by encouraging their children to receive the Sacrament of Reconciliation frequently as a way of experiencing God’s forgiveness. 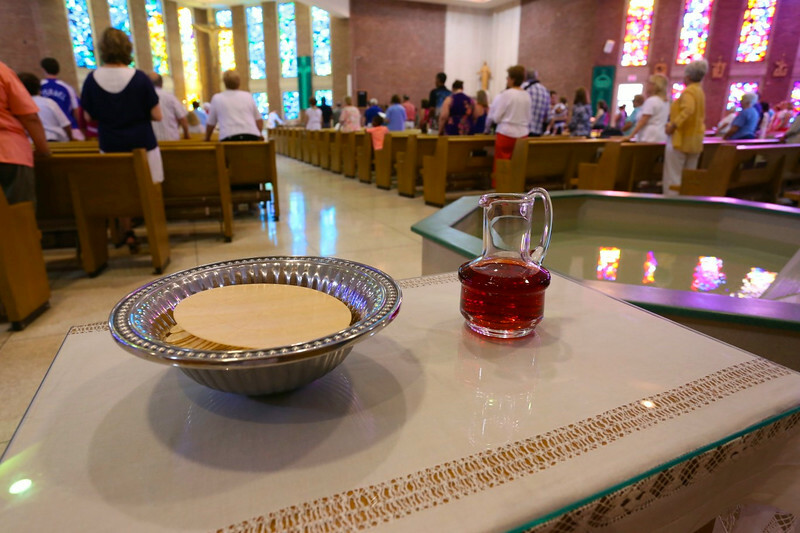 Preparation for the sacrament of First Holy Communion requires two years (child must have attended first grade) and includes meetings with parents, activities and the celebration of the sacrament of First Reconciliation. Celebration of the sacrament takes place in the second grade and is usually celebrated in May. Instruction on the Liturgy of the Eucharist is reinforced in each level in a manner appropriate to the child’s age. The children learn the prayer of the faithful, to pray after communion and the prayers and responses of the Mass. Parents can help by attending Sunday Mass regularly with their children. Check our schedule of Masses. Participate with parents at the meetings dates set aside for them. Prepation for Confirmation is a minimum of two years. The Confirmation candidates (Confirmandi) must complete Confirmation class I, usually in the 7th grade before being admitted into the Confirmation II class; which is usually in the 8th grade. Celebration of the sacrament of Confirmation usually takes place in April. *A detail description of the Confirmation program will be given at the parent and student meeting.